Hello friends! 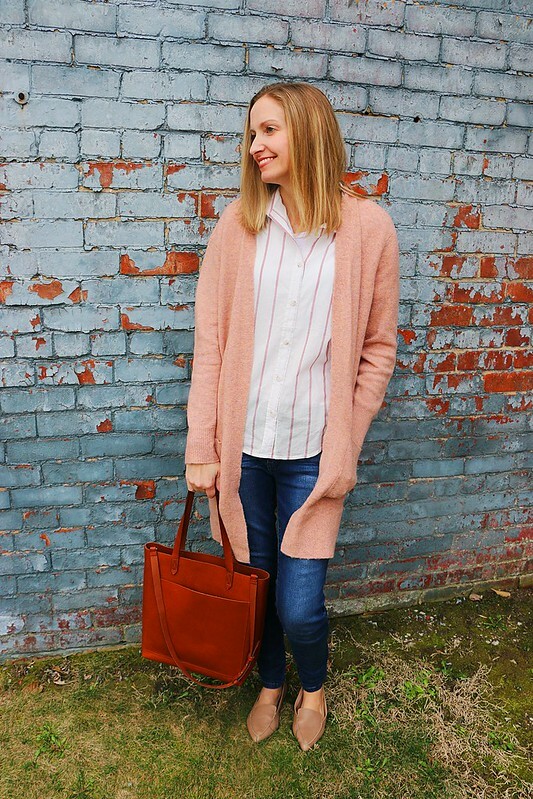 We might have had snow flurries this week, but that didn't stop me from pulling out some of my spring favorites. 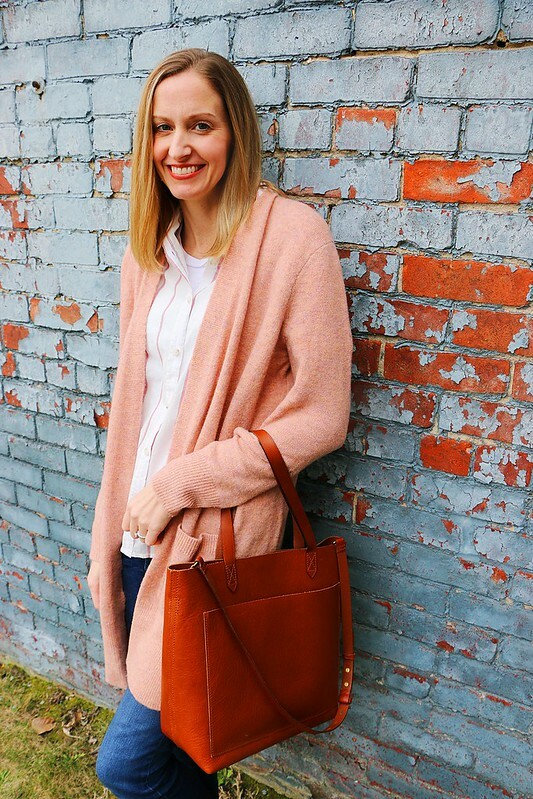 Today I'm styling some great basics that can be worn practically any season. 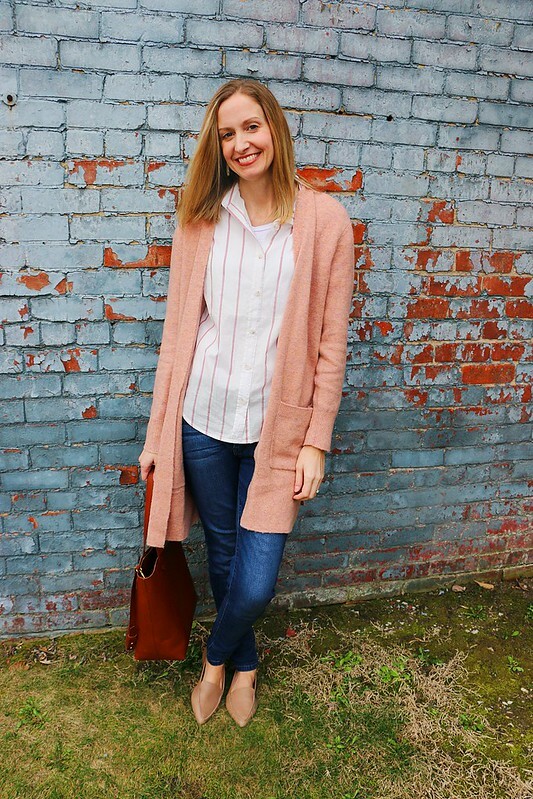 I've had my eye on this adorable Madewell top lately, but I was so excited when I spotted this similar version at Target for less than half the price! 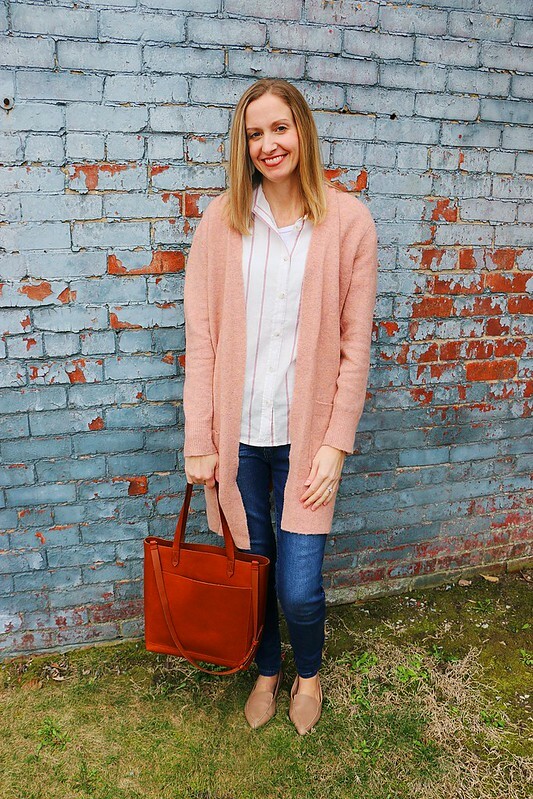 This is such a great basic top that can be worn by itself or layered under a cardigan or jacket. 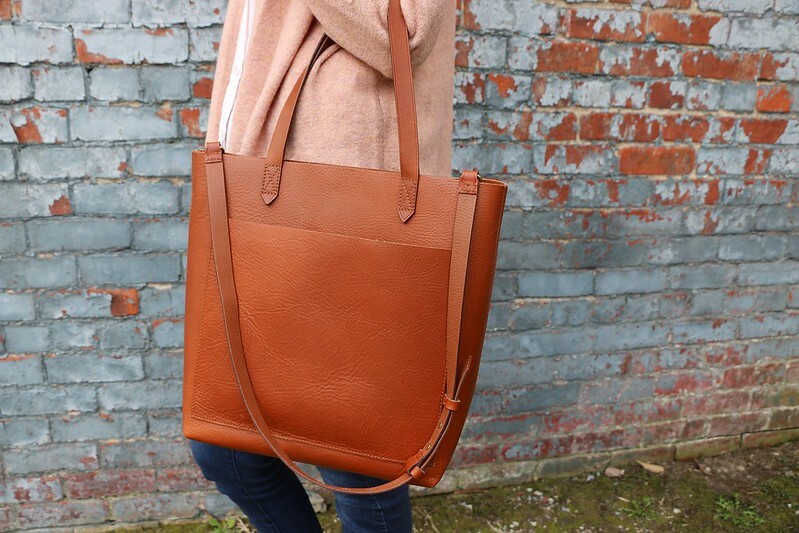 I've been carrying this tote non stop lately and it is such a great neutral bag. It goes with literally anything and it's just the right size. The only downfall is that the crossbody strap is a bit too short. Now, if the weather would just cooperate so I could actually wear this without a big coat! 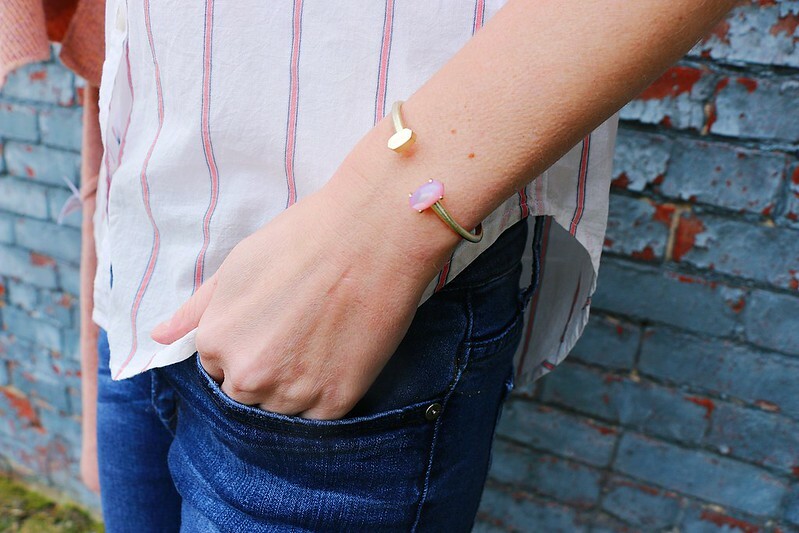 What spring items are you most excited to wear? Thanks for stopping by today and I hope you have a great day!